Skye Gravestones | John & Isabella (Nicolson) Shaw & family. John & Isabella (Nicolson) Shaw & family. 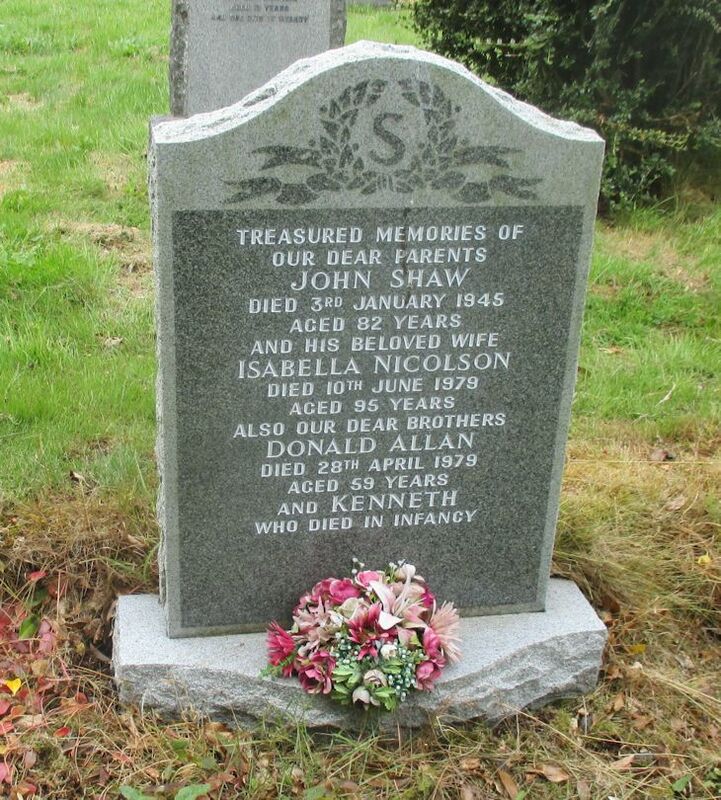 Treasured memories of/our dear parents/JOHN SHAW/died 3rd January 1945/aged 82 years/and his beloved wife/ISABELLA NICOLSON/died 10th June 1979/aged 95 years/also our dear brothers/DONALD ALLAN/died 28th April 1979/aged 59 years/and KENNETH/who died in infancy.